This Lucky Draw a.k.a. 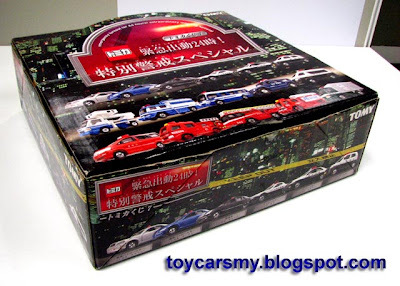 Lotto released in 2004, where Tomica usually release 1 set each year. 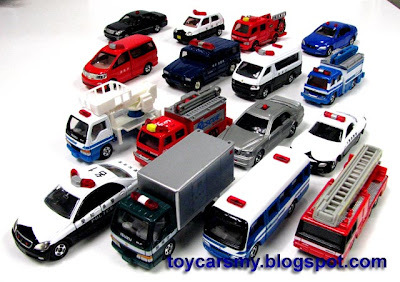 Total 16 models for this Rescue Cars & Emergency Vehicles collection, which divided into 3 categories, Fire Engines, Patrol cars and Police vehicles. my son would go crazy on this!!! he has a very nice firetruck/rescue collection! 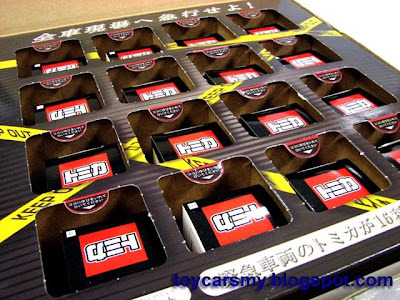 This is one lotto nice set to collect.